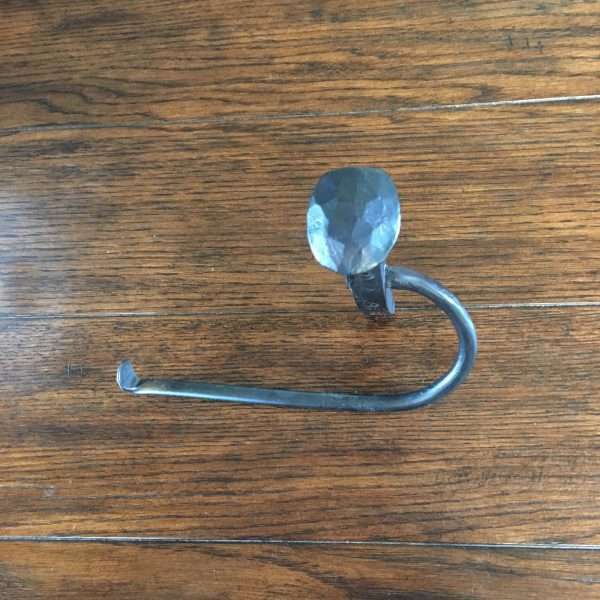 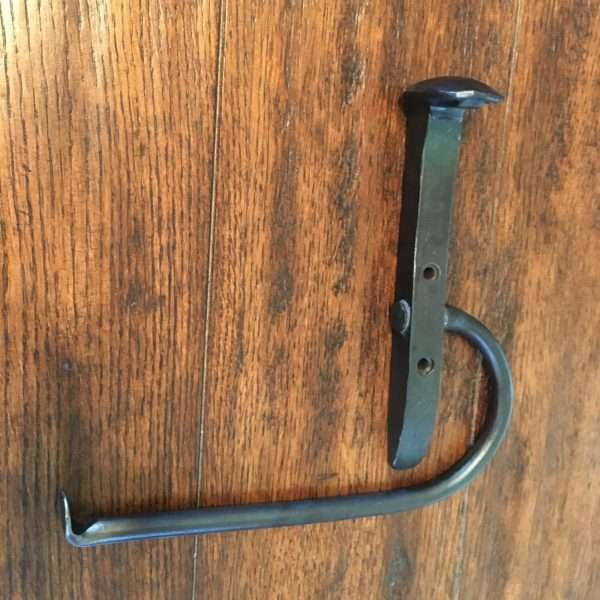 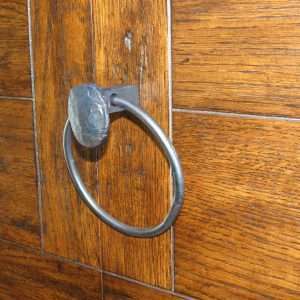 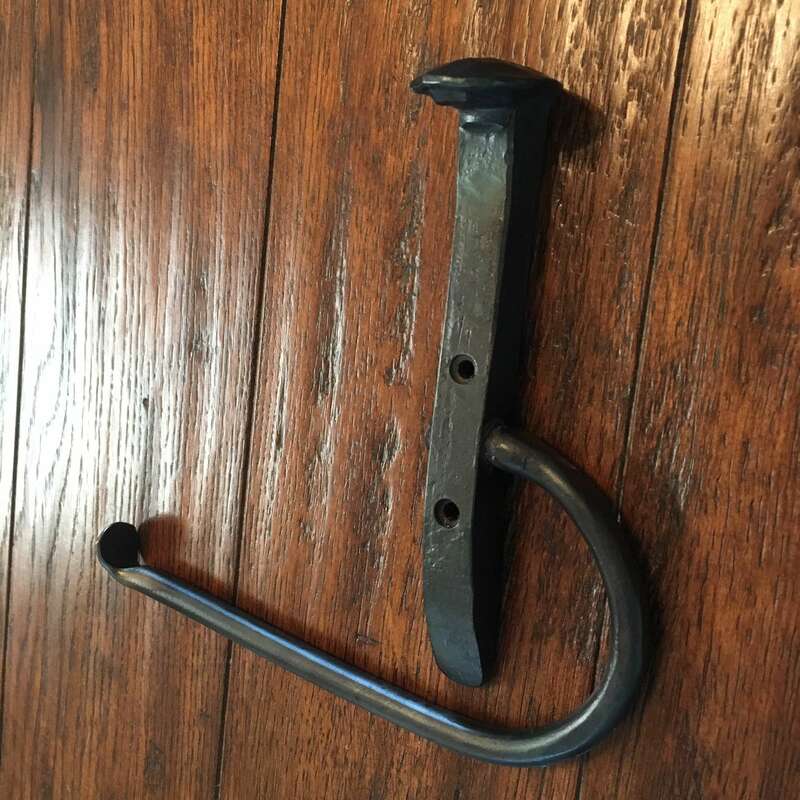 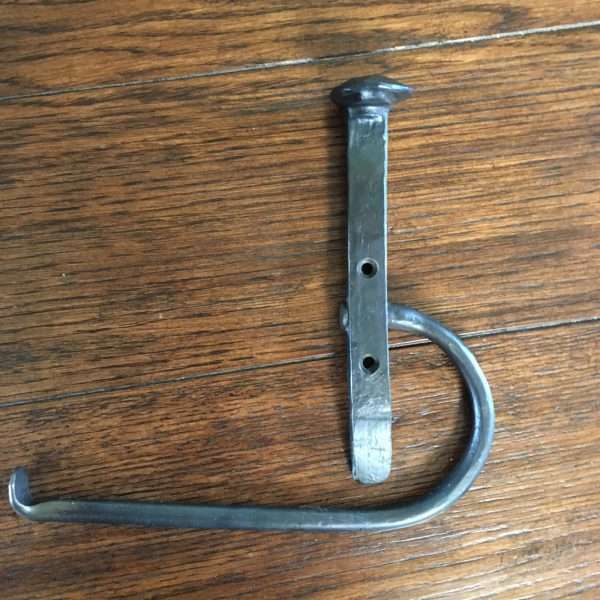 Hand forged railroad spike toilet paper holder. The Holder is straight out of the forge and lightly brushed to leave a nicely rounded and antique looking. 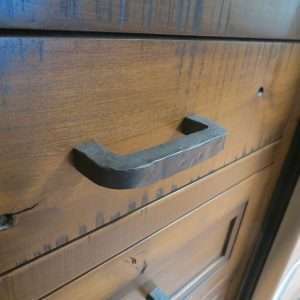 Bar hinges for paper replacement. 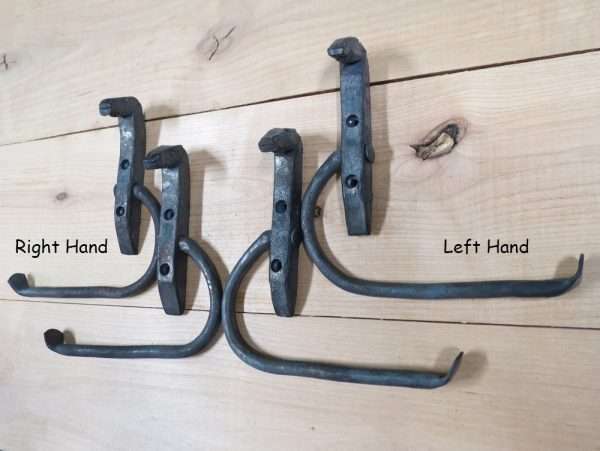 The Image gallery has a couple of views showing right hand and left hand horse head holders grouped together for visual comparison of the Right or Left option. 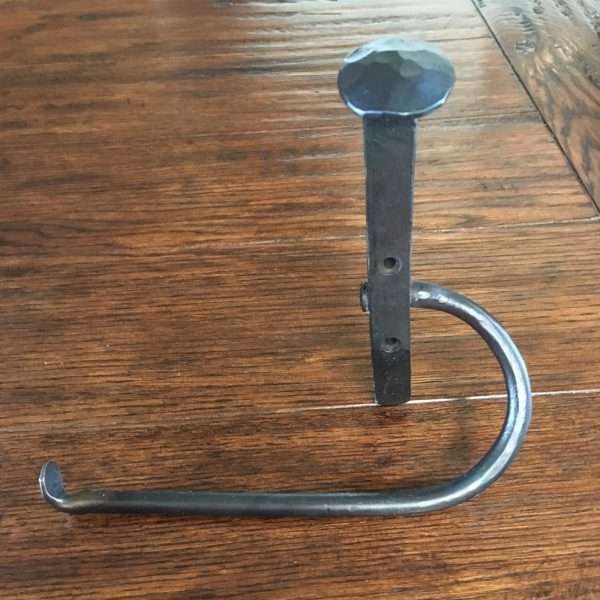 The sale is for 1 right, or 1 left RR Spike TP Holder. 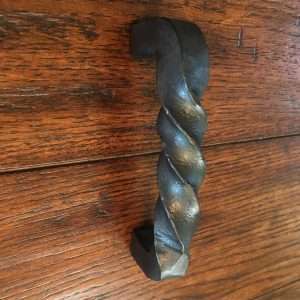 Overall dimensions: 8″ tall x 8″ wide x 2″ deep, not including paper. 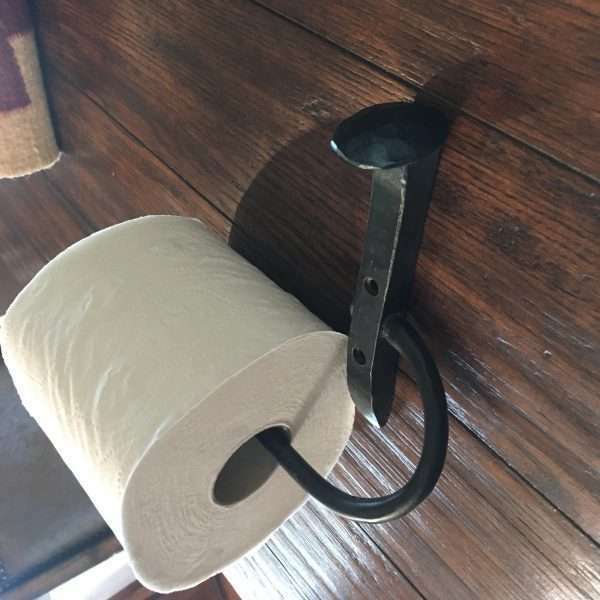 If the quantity in stock is not enough for your decor plans, please contact me and I will quickly hammer out some more.